80PLUS & ErP Directive Compliant. 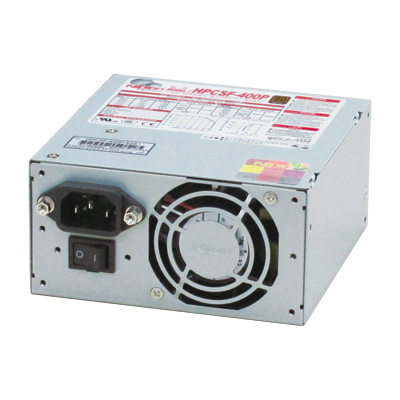 Low Power Consumption and High Efficiency SFX Power Supply with Backup function ! Double-sided through hole PCB suitable for industrial use. Completely independent voltage-stabilizing circuit is mounted for all outputs. Min. load current is 0A for all outputs. By building in the thermal-sensing variable speed fan, noise reduction can be realised. Heat-related issue for CPU can be settled with fan speed changeover switch. Insulation AC input - FG/DC output: 1500 VAC for 1 minute,AC input - FG/DC output: 50M¦¸ min.